A crushed grey stone that is grape size down to dust. It is commonly used for filling holes in driveways. It also makes a great base because it compacts very well. 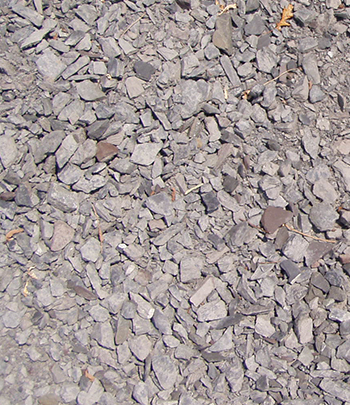 Mixture made of a combination of crushed stone and stone dust. Used to build the base under patios, driveways, sidewalks, etc.